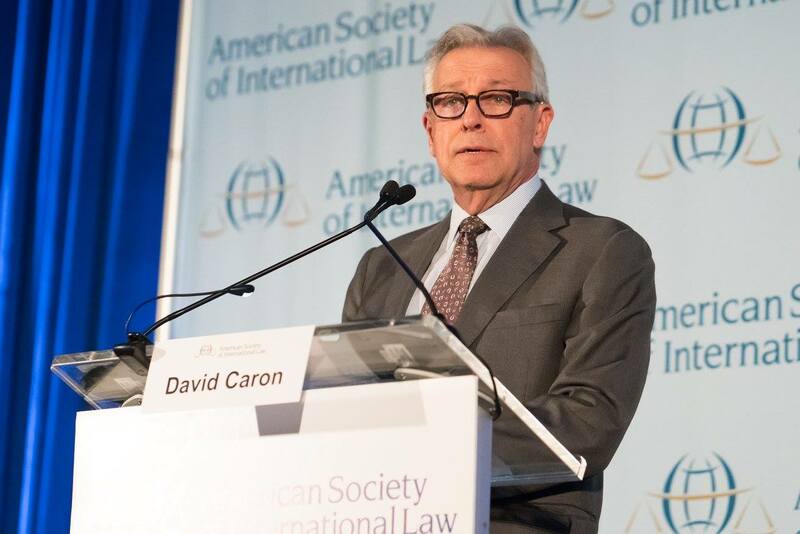 David D. Caron (1952-2018), judge, lawyer, educator, and scholar, was an admired leader of the American Society of International Law and a cherished friend, mentor, and colleague to many within its ranks. The Society has established the David D. Caron Fund, with the support and approval of the Caron family, as a way of paying tribute to his life and achievements and perpetuating his legacy. David first became engaged in the Society as a student in 1979. 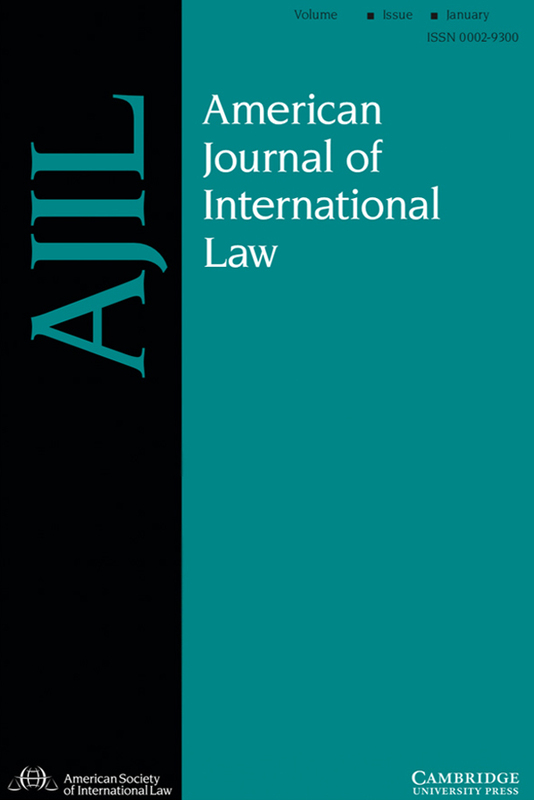 As a young professional, he received the American Journal of International Law's Francis Deák Prize for best article by an author under 40. 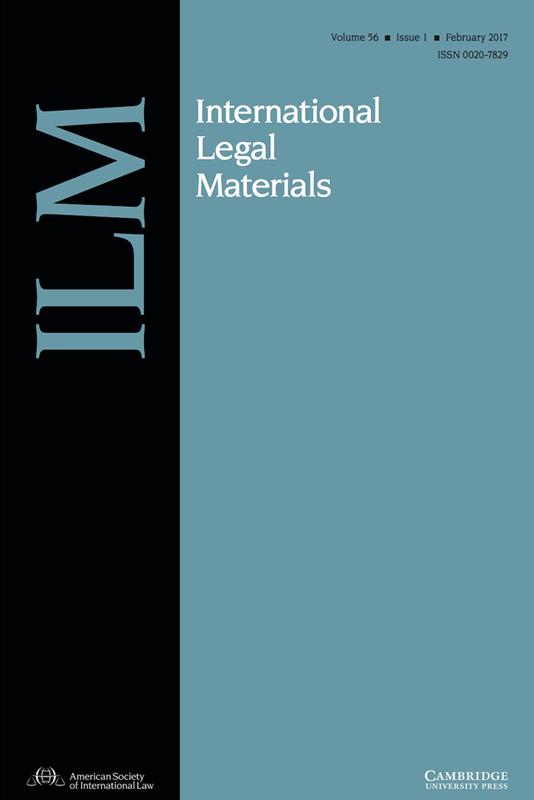 He participated in the Disaster Law and International Environmental Law Interest Groups and chaired the ASIL West Interest Group. 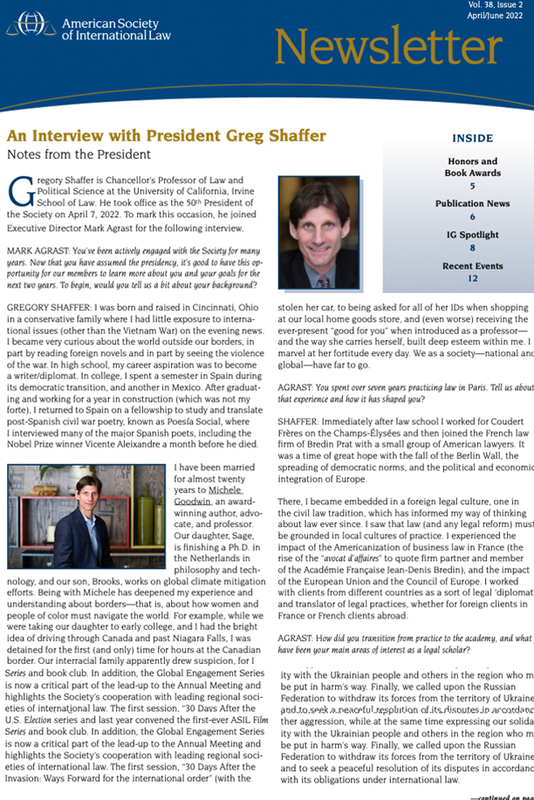 He went on to serve as a member of the Program, Outreach, Honors, Executive, and Nominating committees and the Journal's Board of Editors, as a vice president, and as president from 2010-2012. During his presidency, David and his wife Susan relocated to Washington, D.C., and David became the first (and only) president to have an office in the Society's headquarters at Tillar House. He was a devoted supporter of the Society, both intellectually and financially, becoming an Elihu Root Patron in 2011. 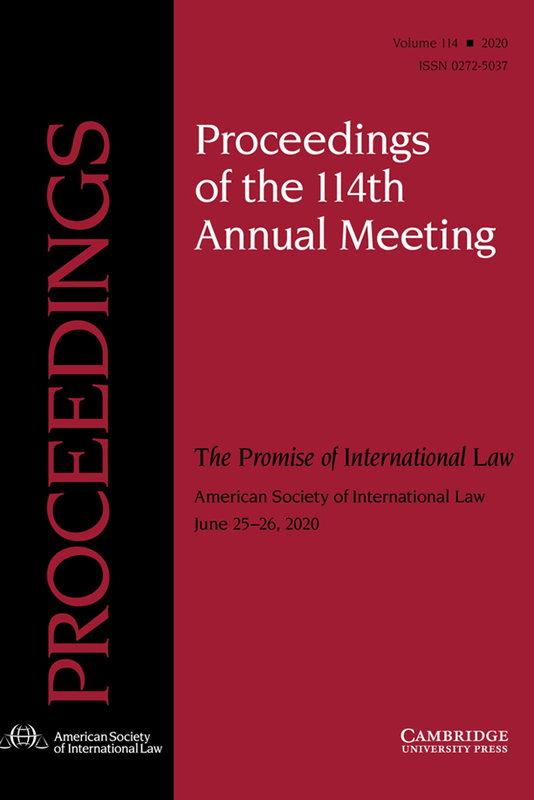 He appeared before the Society for the last time at the 2017 Annual Meeting, where, he delivered the Charles N. Brower Lecture on International Dispute Resolution. David's untimely passing in February 2018 was an enormous loss to the Society and the international law community in the United States and worldwide. The David D. Caron Fund will be used to support the Society's Research Forum, including the creation in David's name of an annual prize and annual fellowships for students or recent graduates who attend the Forum, as well as for other Society activities. The Society gratefully acknowledges generous commitments from Society Patron and Past President Charles N. Brower to match the first $100,000 in donations, and from the Spencer and Caron families to match the next $25,000 in donations. "I had the pleasure of many years of friendship with David Caron, as well as the honour of sitting with him as a Judge. He was that rare man who was a distinguished international lawyer but who wore his distinction lightly, never taking himself too seriously. He will be missed as a lawyer, a judge, a teacher and a great friend to so many of us." "...an undoubted giant in the fields of international law and dispute resolution and should have had a long time before him to contribute even more to its development..."
"David was a professional giant among the California redwoods whom I knew and greatly admired throughout most of his brilliant career of teaching, scholarship and other service. I was a beneficiary of several community-building workshops on issues of international law that he hosted in Berkeley for West Coast colleagues. His hospitality, often music-oriented, capped those occasions, may I say, beautifully." "As David became more and more involved in the governance of the American Society of International Law, we worked together closely. And we did so during his presidency of the Society when he took so much time away from his teaching and scholarship to ensure the Society's continued success. His presidency was a model of energy and ideas for his successors to follow..."